The Assaulted Women’s Helpline offers a 24-hour telephone and TTY crisis line to all women who have experienced abuse. We provide counselling, emotional support, information and referrals. We recognize abuse as one example of women’s social, political and economic inequality in the world. The Helpline is dedicated to working towards equality for all women. They also speak to friends and family members of abused women, service providers and other professionals in contact with abused women. Their service is anonymous and confidential. You don’t have to give your name. Their toll-free number won’t show up on your phone bill. They do not have call display. Call the Helpline today if you or someone you know is being abused. You are not to blame, no matter what anybody says. Abuse is always the responsibility of the abuser. The Barbra Schlifer Commemorative clinic is a non-profit organization which operates as a multi-faceted service for female victims of violence. 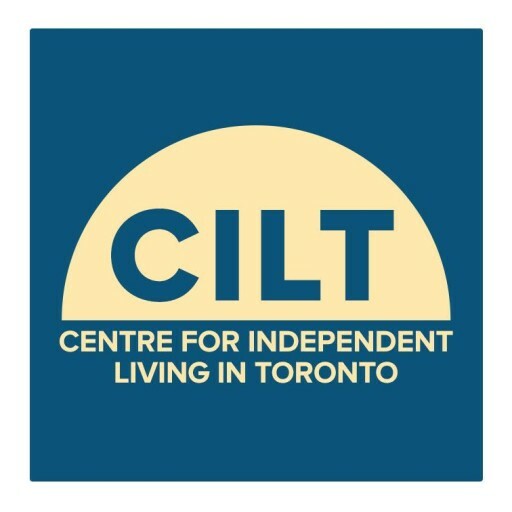 Operating as part of a network of services in the Toronto area, the Clinic is committed to the achievement of freedom from assault for all women. The Clinic is a free counseling, legal, interpretation, information and referral service for women who are survivors of violence. The program mandate is to work with and support the community towards effective and meaningful service for female victims and to contribute actively towards this goal through Clinic services. To implement programs, particularly in the post-crisis phase, which address the individual needs of women and work towards the elimination of social conditions which condone assault against women. “D.O.O.R. to Adulthood” is a project that was started by a group of consumers (including youth and young adults with disabilities and parents) and service providers in Ontario. After discussions and some research, the group found that people needed information about services and resources and an opportunity to network about helping youth get ready for adult life. It was decided that a website would be a great way for people across Ontario to get the information they need about transition to adulthood. Youth, parents, and service providers have participated in the development of the project to make sure that it meets their needs. The goal of “D.O.O.R. to Adulthood” is to improve the process of transition to adulthood for youth with disabilities and their families in Ontario How is the project being paid for? So far the project has received money from Bloorview MacMillan Foundation, West Park Foundation, CanChild, and the Ministry of Health and Long-term Care. Also, all organizations involved have helped by giving their time, expertise, resources and supplies. Who has helped? Ordinarily, people experience a wide range of moods and have an equally large repertoire of affective expressions; they feel in control more or less of their moods and affects. In mood disorders, the sense of control is lost, and people experience distress. People with an elevated mood (mania) can show expansiveness, flight of ideas, decreased sleep, heightened self-esteem and grandiose ideas. People with depressed mood (depression) can have a loss of energy and interest, feelings of guilt, difficulty in concentrating, loss of appetite and thoughts of death or suicide. Source: Synopsis of Psychiatry, Kaplan & Sadock, 1998. Provides inclusive, equitable access within an effective, comprehensive system. To enhance the quality of life for all affected by mood disorders through support, information, education and advocacy. MDAO support groups are peer led by volunteer facilitators. Our facilitators are trained by experienced mentors. Our group leaders are people that have been affected by a mood disorder and are therefore able to relate to group participants on a personal level. Anyone dealing with a mood disorder and seeking support may attend a standard group. MDAO also runs groups for family members and partners, women and youth ages 16 -29. Please contact the Mood Disorders Association for more details. Support comes in many forms and is dependent on individual needs. Some people already have strong support systems in place through family, community, and church and their needs are minimal. Other people are facing stresses such as financial difficulties or family problems, in addition to the day-to-day reality of life with a neuromuscular disorder. Life can become difficult at particular times, such as when the diagnosis is made or when symptoms seem to get suddenly worse. Self-Help/Mutual Support is a process of sharing common experiences, situations or problems. Self-help is participatory and involves getting help, giving help, and learning to help yourself as well as sharing knowledge and experience. There is no charge to participate, although a nominal donation to cover expenses is sometimes requested, but never required. Self-help initiatives continue on an ongoing basis, are voluntary in nature rather than mandatory, and are open to new members. Self-help activities are run by and for the participants. The primary purpose of self-help is to provide emotional support, practical support and information exchange rather than mandatory, and are open to new members. Self-help activities are run by and for the participants. The primary purpose of self-help is to provide emotional support, practical support and information exchange. To promote self-help/mutual aid. The goals of the organization are to increase awareness about self-help/mutual aid in the community and among helping professionals, and to facilitate the growth and development of self-help groups, networks and resources. The Self-Help Resource Centre is a registered charitable organization and was established in 1987 to facilitate the growth and development of self-help groups, networks and resources in the Greater Toronto area and throughout the Province of Ontario. You can contact SB&H and know that we will be there to listen and support you through the daily challenges of living with spina bifida and/or hydrocephalus. We are your source for comfort and understanding, providing emotional support and information. Our staff and volunteers are empathetic, sharing your experiences. Having difficulty getting what you need? SB&H can help! When issues arise related to health care, employment, transportation, recreation, education, funding, etc. We are here to support you through the process, whether by acting on your behalf or giving you the necessary tools to proceed on your own. Support groups are powered by the sharing of common experiences and concerns. A collective exchange where you may find answers to your individual needs. A place to find others who know what it’s like, where you’re not alone. This safe environment sets the stage for mutual support and encouragement, comfort, information exchange and positive feedback. This atmosphere can also provide personal growth, closer inter-personal relationships and increased self-esteem. Meet periodically as the need arises. Currently, the Association facilitates an active support group for Adults with Hydrocephalus. They meet on the last Thursday of each month by phone and in person at the SB&H offices. If you are willing to share in the duties of organizing a new group, SB&H will help you get started. For information on support groups in your community contact Steve Kean, Programs & Services Coordinator at 1-800-387-1575 ext. 26. The Spina Bifida & Hydrocephalus Association of Ontario is a network of individuals united by a common bond. The Online Support Community is a free service provided by SB&H, to its members and guests to this website for the purpose of sharing information and experiences. A place for individuals with spina bifida to talk about dealing with day to day challenges and obstacles. You can share what works and what doesn’t. Get ideas, inspiration and support from others. “Members helping members” through peer support is a philosophy that has been passed down through hundreds of Canadian Paraplegic Association counsellors over the course of five decades. The Association was originally established in 1945 by a group of spinal cord injured veterans who refused to languish in veterans’ hospitals. These pioneers believed that paraplegics and quadriplegics could, with adequate encouragement and support, overcome their initial challenges and return to independence and full-time employment. Through innovation and an extensive peer support network, they proved this to be true. In the short term, the program will empower hundreds of peer volunteers to act as mentors and role models, providing support where it is most acutely needed–in the early stages of injury. It will also create ongoing opportunities for career advancement and funding for career development. Over time, it’s expected that the peer volunteer program will have a profound impact on the entire community of Canadians with SCI. There is annual $25 membership fee that does apply. TRCC/MWAR operates on principles of mutual respect and anti-oppression. We believe survivors of sexual violence are experts in their own healing. Together we work toward creating a thriving community, empowering survivors of all races, classes, ages, gender identities, sexual orientations, abilities and spiritualities. The TRCC/MWAR is a grassroots, woman-run collective working towards a violence-free world by providing anti-oppressive, feminist peer support to survivors of sexual violence through support, education and activism. TRCC/MWAR envisions the liberation of women and children from all forms of violence. We celebrate freedom of choice, sexual freedom, and healthy communities and human interactions.